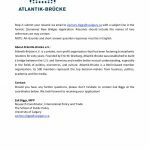 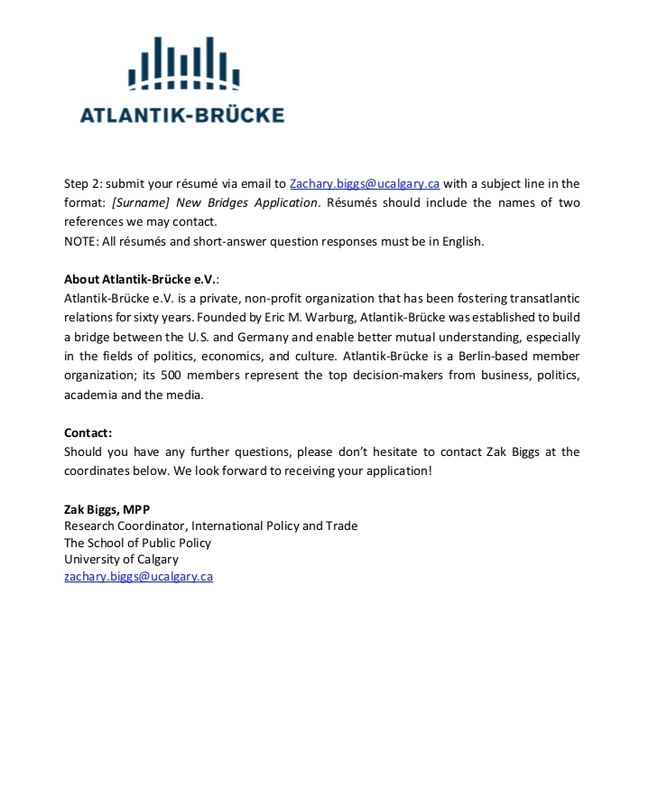 Atlantik-Brücke, a long-standing transatlantic initiative, has launched a new study tour for up and comers from Canada and Germany who are interested in the Canada-Germany relationship. 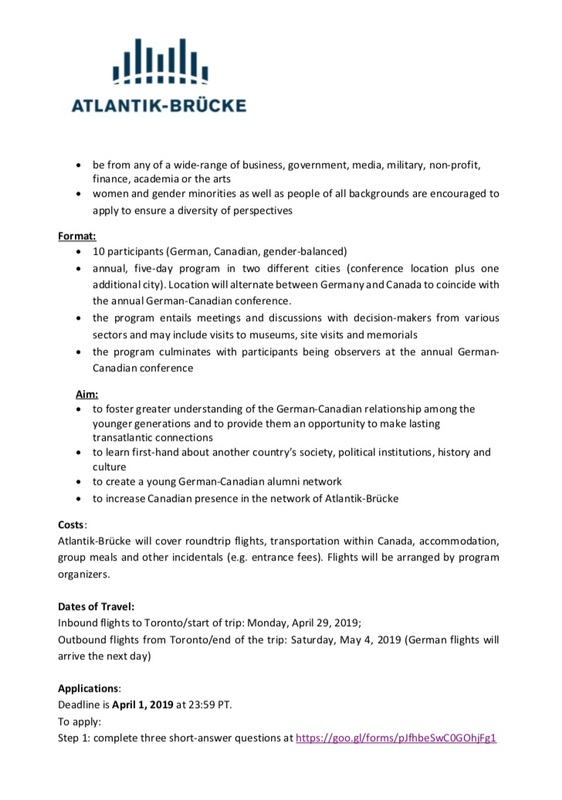 This opportunity will be of greatest interest to those who have already shown an interest in the other country. 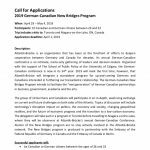 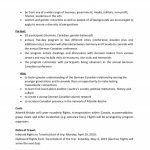 In the German context, this could include students of Canadian Studies, members of Canada-oriented clubs, among many others. 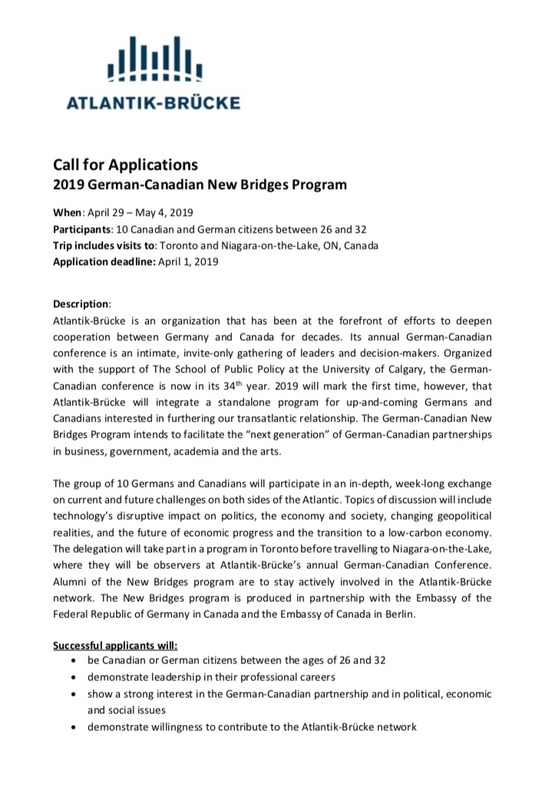 We would appreciate very much if you could circulate this message among your advanced students and younger professors, or anyone else you think fits the description in the Call for Applications, attached.